It's a busy time to be a decision-maker in the retail space – a role under increasing pressure and scrutiny. The need to keep up with trends is critical – within retail, and also in society, and technology more widely. So it’s no surprise that it’s not only the top retailers who rely on consultants to help them with this insight. A CIO from a leading Tier 1 UK retailer recently confided in us that they spend more on consultants than they do on the actual technology, and are able to prove this value at board-level. Retail influencers are currently the most powerful people in UK retail, the ones that actually drive real change and innovation within the retailers. These are the people you need to engage, in order to be able to influence them yourself. But first of all, you need to know who they are, and to have complete confidence that you know which retailer uses which retail consultancy. McDonald Butler have put together an interactive PDF which lists UK retailers and identifies their influencers. 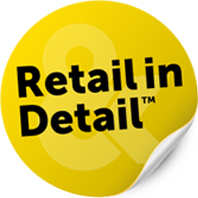 Collection of over 140 of the UK’s most prominent retail consultancies. Made up primarily of strategic and business consultancies (i.e. organisations who have no vested interest in the final technology solution chosen). Interested? Want to know who the retail Influencers are? Please fill in the form below and one of our retail experts will contact you within two working days.